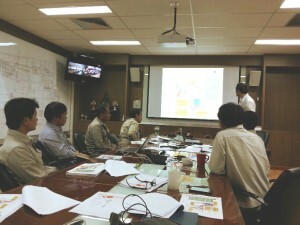 Training Courses - CO3 s.r.l. Download our CO3 Combustion School brochure here. Contact us for a customized Training Course! CO3 is a professional Oil & Gas Service provider specialized in Combustion. CO3 aims to be the leader of Training Courses for Oil & Gas Organizations focused to excellence. CO3 is already recognized by the world’s most important Oil & Gas Operator, Contractor and Vendor Companies and provides Basic to Advanced Level Training Courses for Fired Items. 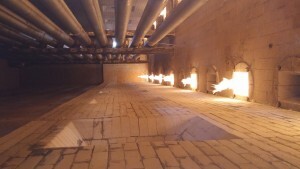 The Combustion Test Area, located in Northern Italy, is the best way to learn from real flames in a friendly and safe environment. All the Intermediate and Advanced Training Courses and the Tailor-Made Training Courses (upon request) include the use of the Combustion Testa Area. In case of Training Courses in Italy, CO3 provides assistance on logistics in order to ease the Visa process and accommodation of our Estimated Guest Companies. The Training Courses duration depends on the Training Course Level and subject. For Tailor-Made Training Courses duration is based on your specific requirements. CO3’s Trainers are fully specialized in Combustion and Heat Transfer. Each CO3 Trainer has more than 10,000 hours of On-Site experience in the specific field of the trained topic. All the Training Courses are in English or Italian language.